He has plans to release his third studio album in 2010. In 2007, Kingston was the opening act for Gwen Stefani's The Sweet Escape Tour and for select dates on Beyonc&eacute;'s The Beyonc? Experience Tour. Kingston also co-wrote Jason Der&uuml;lo's number one hit Whatcha Say. 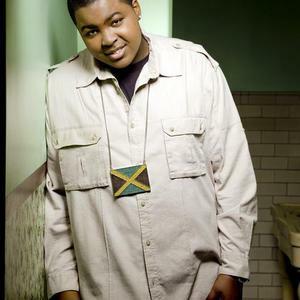 Born on February 3, 1990, Sean Kingston spent his early youth in the Half Way Tree section of his parents' hometown of Kingston, Jamaica ? hence his name, before moving to Ft. Lauderdale, Florida at age six. By 1996, Sean's love of music led him to a prodigious performance of Whitney Houston's "I Will Always Love You", forever changing his path. "My mom heard me, and she started bringing me around to family members. Then, I graduated from singing, and started picking up rapping from listening to Ice Cube and Slick Rick." The gangster raps of Cube and the storytelling of Rick the Ruler had a profound effect on the boy, who also was exposed to heavy doses of Buju Banton, Dennis Brown, and Rakim from his young parents. Not only did their music affect Sean, but so did their traits. "I feel like I'm my father, 'cause I got a hustler's mentality; if I want something, I'm gonna get it. I'm like my mom, because we're picky about what we do, but we're always gonna make the right choice," says the 19-year-old today. Around 2004, Sean began incorporating elements of his Reggae heritage with his rapping abilities. The gifts have allowed Sean's music to have a unique blend of street raps with Caribbean flare and catchy, homegrown hooks. This one-of-a-kind presence eventually led Sean Kingston's music to the ears of chart-topping producer Jonathan "J.R." Rotem (The Game, Rick Ross, Britney Spears, 50 Cent, Rihanna, Dr. Dre, etc. ), who quickly saw potential in the teenage rapper. "He sent me two of his early tracks, and I recorded them, and sent them back in two days," says Kingston. Soon after J.R. and Zach Katz signed the artist to their Beluga Heights record label ? and subsequently Cinematic Music Group for Management, a three-way bidding war between Warner Brothers, Atlantic, and Epic/Sony developed.